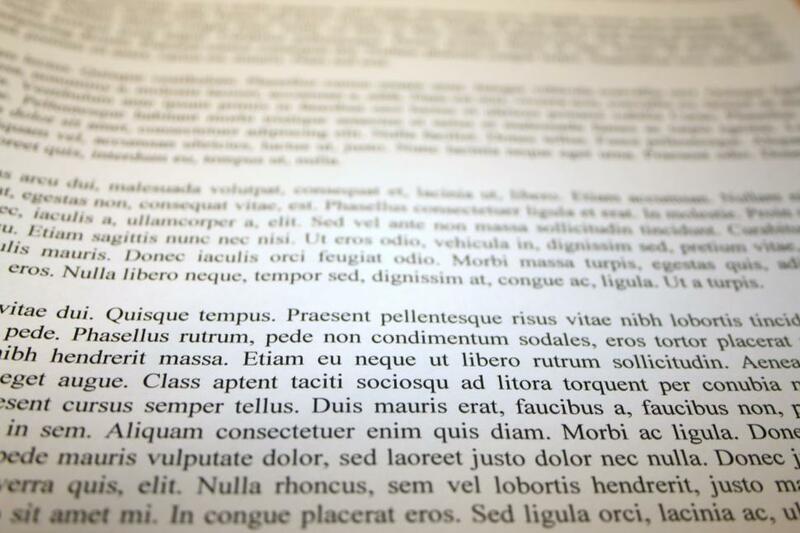 A generic latin block of text on a piece of paper, with a narrow depth of field, providing a small section of text appearing in focus, and the rest of the text progressively more out of focus. always read the small print. Perfect. Thanks!